World-building is one of the most important parts of fantasy writing – and one that many writers understandably find challenging. As well as things like culture, customs, language, religion and politics, world-building involves the creation of the physical world itself. This is a huge undertaking, especially for writers whose strong point is storytelling, not geography! While it's true that world-building is essentially 'playing God', and that you can create a world with whatever physical features, landscapes and weather patterns you like, we do recommend that your world has some semblance of realism in the way it looks and works. Realism is important, and even imaginary worlds need to have geographic logic ... 'If you can give people things that make sense to them, then they'll buy into the world,' says Roberts." 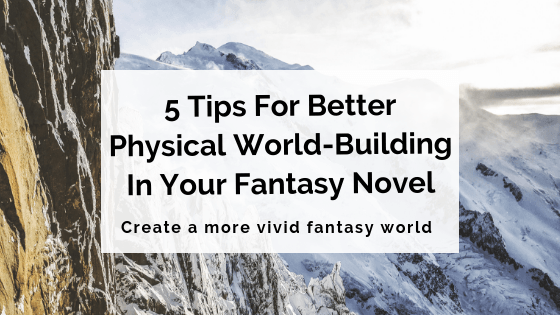 With this in mind, we've put together five quick tips to help you build better, more realistic and immersive fantasy worlds. Unfortunately, if you're anything like us, you've completely forgotten most of what you learned back then. So it's time to brush up on the basics. Going off the assumption that you're creating an Earth-like world (which the majority of fantasy novels do), familiarising yourself with some general principles and 'rules' of geography will help you immensely when it comes to making that world realistic and logical. A resource like the Fundamentals of Physical Geography is a good starting place for more general principles like these, and you'll find plenty of other helpful resources out there on the internet and at your local library. You might be wondering whether these 'rules' always have to apply. You're writing a fantasy novel, after all! And anything can happen when there's magic involved, right? Well, not quite... Yes, technically anything can happen in a fantasy setting – but that doesn't mean that just anything should. What we're basically saying is: magic can affect the 'normal' principles of geography (and climate, which we'll discuss further below), but should never be used as an excuse for lazy world-building. 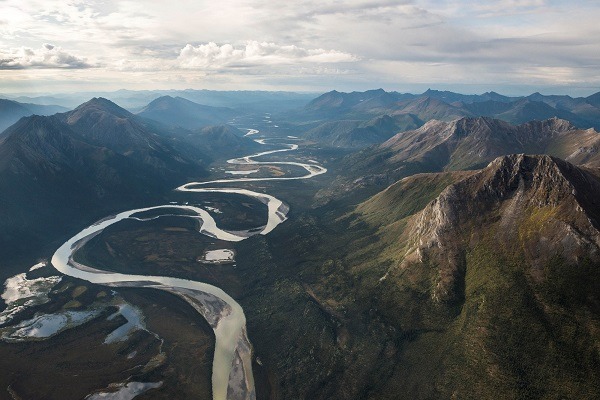 Logical inconsistencies in your world – like a river flowing uphill, for example, or an arid desert-like area in the middle of an otherwise lush, green forest – can't always simply be glossed over by vaguely citing 'magic' as the reason. Yes, perhaps the river is running uphill because an elemental magic-wielder who can control water is making it do so. Perhaps the patch of desert is the site of a past magical disaster that's left a permanent mark on the landscape. Whatever the case, if your world defies any general geographic principle, the reason why needs to be explained – and it needs to be a reason that actually serves the story, not just a hasty patch-up for laziness or mistakes. Climate and weather are as important as geographical features when it comes to physical world-building. Climate will affect where you situate your towns and cities, and how the characters located there live their lives. Similarly to the geographical principles we just discussed, it's handy to have a basic understanding of what climate is; what different types of climate (tropical, dry, mild, continental, polar) are typically like; and how climate affects (and is affected by) the physical world. 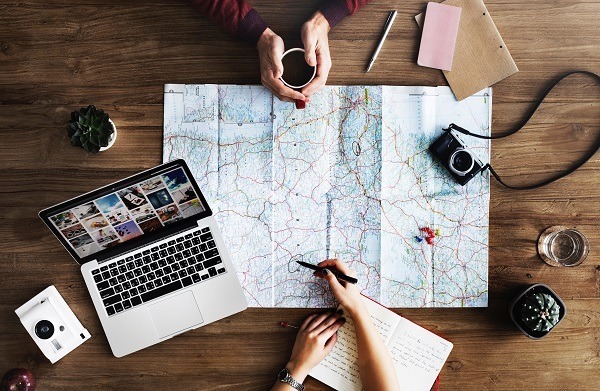 Basic yet thorough resources like National Geographic are a good place to start, giving you some solid guidelines and inspiration for the different climatic regions of your world. A quick note: it can be easy to fall into the trap of defining different parts of your world solely by stark contrasts in climate. But it's important to remember that things aren't always so black-and-white in reality, and that treating the different climates of your novels with an educated, realistic approach can help you create a more nuanced, detailed and intriguing world. There isn't a definitive line between a snowy place and a tropical place. There is all kinds of mixed weather in between. And, while it can seem tedious to map out these areas (particularly if they don’t take centre stage in your novel), just remember how useful they might be in the future." If you're really at a loss when it comes to building your world from the ground up, it can help to take a step out of your own imagination and draw some inspiration from real life. We've talked before about writing realistic settings and being inspired by real-life locations, and you can certainly put this to use in your fantasy novel. Get a feel for how the real world works, in terms of both its physical features and how people tend to utilise and respond to them. Looking at real-world maps, for example, you'll start to identify certain recurring elements that will help you make better sense of your imagined world – things like major cities being built near the water, territories being defined by natural borders like mountain ranges or rivers, and so on. All the knowledge and inspiration you absorb from your observations will flow into your world-building, ultimately making it more immersive and realistic. If there's one thing to remember about world-building, it's that it's an ongoing process. Your fantasy world will naturally grow, change and develop as you write. Don't feel as if you have to have all your world's components perfectly created before you start your first draft. The story itself, as well as your characters, will shape aspects of the world and how you explore it. If you're feeling a little overwhelmed by the immensity of creating an entire world, it's helpful to start by focusing solely on the places your characters are actually going to be. What natural features might need to be there to further the plot or contribute to backstory/history? As long as you stick with the logical principles we discussed above, you can build your world from the ground up to best suit the story you're telling and the characters who are living in it. It's also helpful to have an idea of locations that aren't yet planned to appear in the story, in case you want to branch out and expand your world later. George R. R. Martin's A Song of Ice and Fire series has a full map of 'The Known World', which features the places we've visited in the books and show (Westeros, Essos), but also shows locations we've only heard about (such as Asshai), as well as hinting at other continents not explored in the series (Ulthos and Sothoryos). We might never see the mysterious jungles of Ulthos or Sothoryos on the page or screen, but we can safely bet Mr Martin would have a sound idea of what these places are like, should it ever serve the story for us to visit them. It's difficult to keep track of all the physical details of your world just by writing them down and picturing them in your head. That's why we recommend having an actual map of your world, whether it be hand-drawn, digital or otherwise. Trust us: having a map, even a very rough one, will make things a whole lot easier for you. It's a fantastic reference to have on hand, really helping you visualise your world while you're writing. Plus, it makes it easier to get all those little details right and create a realistic, cohesive world. Say, for example, you've written a scene with a character gazing at the sun setting behind the mountains (and like Earth, in your world, the sun sets in the west). Then you glance at your map and realise said mountains are actually to the north... It's a tiny detail, but you've saved yourself an inaccuracy, and retained the authenticity of your world. Now, there are two options when it comes to creating a map of your world: drawing one yourself, or commissioning someone to create one for you. 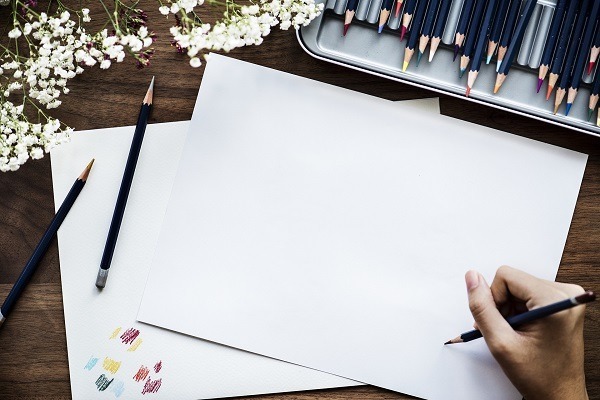 If you choose to draw your own map, you can do it by hand on a large sheet of paper, and/or create it digitally using a program like Photoshop or some specialised mapmaking software. There are plenty of tutorials and resources online for drawing your own map, so a simple Google search will help you get started. This can seem like an intimidating task, especially if your talent lies solely in words rather than pictures! But remember that at this stage, this map is for your eyes only, so it really doesn't matter how rough or un-artistic it is. As long as it incorporates all the features of your world and is relatively geographically sound, it will serve you just fine. The other option – seeking out a professional to create your map – will involve a cost. But as well as having an accurate, professionally drawn map for your own reference, you'll be able to use it if and when you publish your book. If there's one thing fantasy readers love, it's seeing a map at the start of a novel! So any extra time and money you sink into having a professional map created will be well worth it in the end (and it's a particularly good investment if you're writing a series). A quick note: if you commission someone to create your map, you'll need to have a very clear idea of your world to take to them as a basis, so we recommend still drawing a version yourself to give them something to work from. Go on, fantasy writers – it's time to get out there and build that world you've been cooking up in your head! What are some of your favourite fantasy worlds? Who do you think is the best world-builder in the biz? Let us know in the comments.